Drumragh Sarsfields Reserves entertained Castlederg at Clanabogan Park on Sunday and eased to a comfortable win. The home side established an early lead with scores from Ronan Maguire, Andy Colgan, Darragh O’Kane and Aidy Colton, a lead they were not to surrender. Goals from Ronan Maguire and Ciaran Donaghey increased the lead with only token responses from the away side. The second half featured more of the same with further scores from Maguire, Colgan, Cathal Gallagher, Fergal McCarney and James Campbell as the Sarsfields upped the tempo. 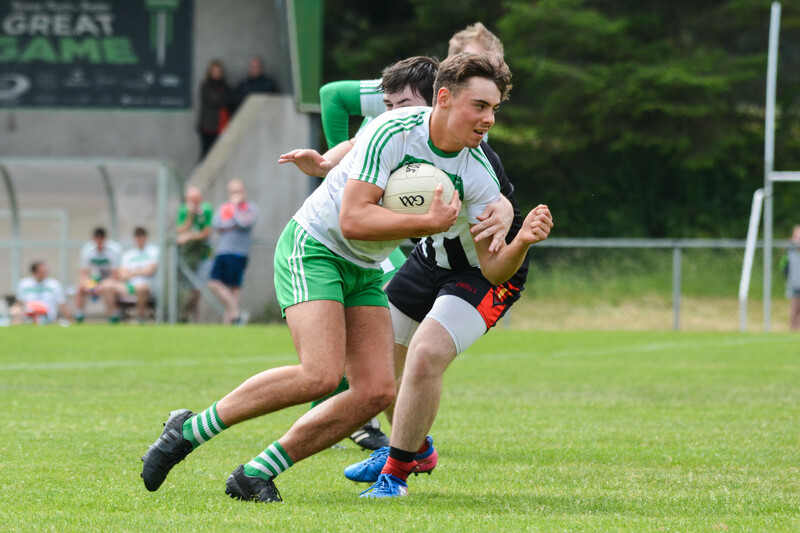 Substitute Malachy McManus, who replaced Aidy Colton with 20 minutes to go, helped himself to 1-1 while Colgan and Maguire completed the scoring to leave the final score Drumragh 3-21, Castlederg 0-04. One of the most pleasing aspects of this victory was the fact that of the 3-21 scored, 3-15 came from teenagers which augurs well for the future and 3-19 came from play. It was another strong team display from a squad which boasts a good blend of youth and experience.